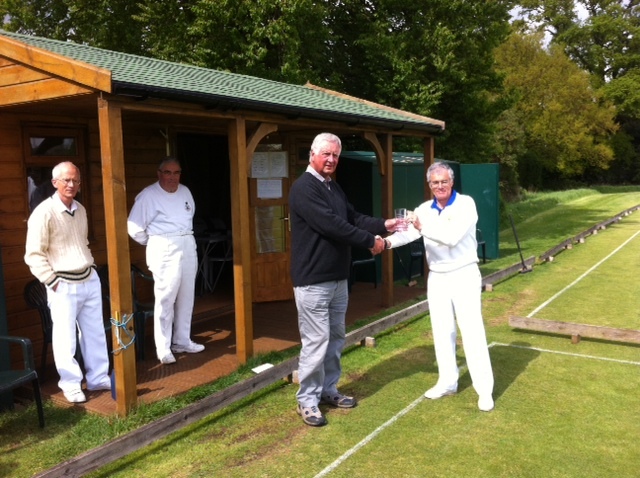 This tournament started in bitterly cold November weather yesterday, and ended in blissful Spring sunshine today. I have invited all participants back for next year, promising them unbroken sunshine. You may therefore be looking for a new manager. 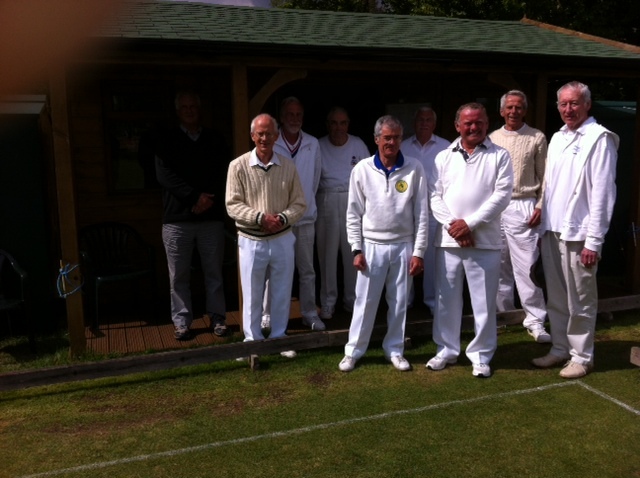 Eight players from local-ish clubs: 2 on a handicap of 6, 1 on 10 (Quiller), 3 on 16, and 2 on 18 - perhaps not quite the mix we would have liked but at least we had a competition. In the end, there was one outright winner. Tony Elliott (Enfield) playing off 18 won all 5 of his games, including wins against Quiller Barrett and Peter Whiting, who came second with 4 wins out of 5. 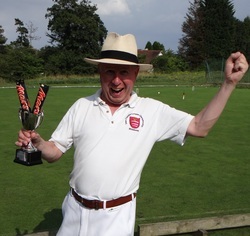 The overall winner was Keith Rhodes from Letchworth, who did not lose a match, even if three of his wins were by tiny margins. There were many compliments paid to the stste of the lawns, despite the dreadful weather earlier in the year, and the very dry spell which has lasted most of this year (in Letchworth at least).